Industry partners share their time, their talent and their treasures! David Wixted comes to us with 19 years of educational experience, 16 of those years in post-secondary education. He taught for 14 years at Schenectady County Community College (SCCC), in Upstate New York, in the esteemed school of Hotel, Culinary Arts, and Tourism. He also taught for two years at Stratford University, a for-profit institution, in Northern Virginia teaching in the Hospitality Management program. Throughout David’s educational career he has taught over 20 different courses in both front and back-of-the house operations and in both the classroom and laboratory settings. During his tenure at SCCC he chaired, researched and authored the Associate of Applied Science degree in Casino and Gaming Management, gaining approval from the New York State Department of Education and the State University of New York (SUNY) system in 2013. He authored the instructor’s resources manual for Dining Room and Banquet Management, and was a book reviewer for Profitable Menu Planning and The Bar and Beverage Book. David also has had over thirty recipes published in the Daily Gazette newspaper and was featured in an article on sanitation for the home cook. 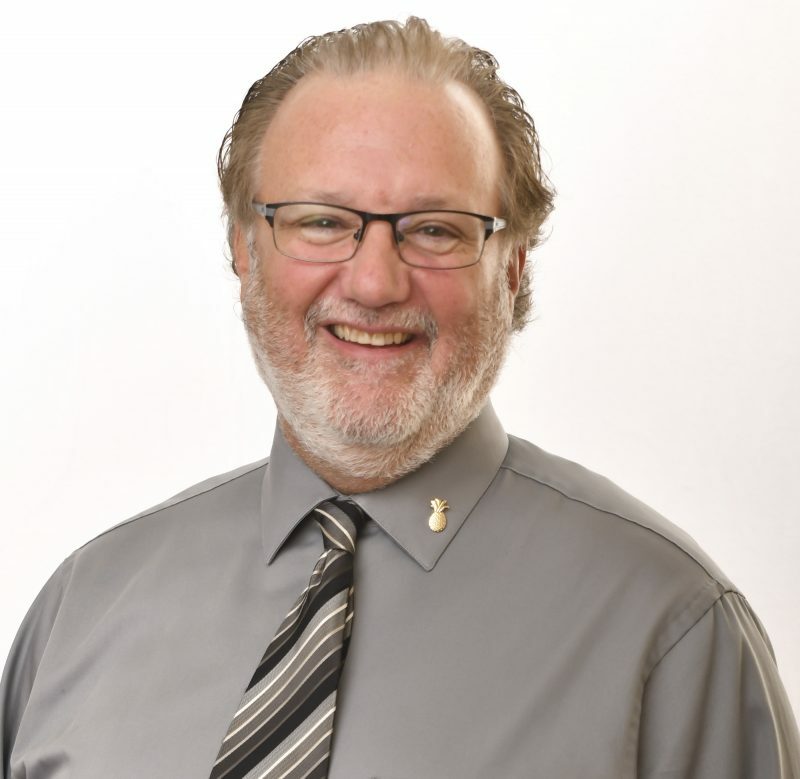 David chaired the Professional Policies, Nominations, and Awards committee, served as secretary of the Curriculum Committee, served as a co-chair of the Annual Hospitality Career Expo and served on seven different search committees, chairing three. He was the Project Coordinator for the New York State Hospitality Grant which worked to expand the statewide capacity of SUNY Colleges to serve the education and training needs of the NYS hospitality industry. As Project Coordinator he worked with 14 SUNY Schools, the New York State Restaurant Association and the New York State Hospitality and Tourism Association achieving the goal of the grant. David is ServSafe certified in the Food Protection Manager course and holds dual certification as an Instructor and Proctor in ServSafe for the National Restaurant Association Educational Foundation and he is a certified Trainer for Training for Intervention ProcedureS (TIPS) program for Health Communications Inc. having trained over 500 people in the safe service of alcohol. David’s industry experience includes over 20 years working in both small and large scale operations. He started in his parents’ restaurant working his way up from a dishwasher to the Restaurant and Bar Manager before leaving to return to school. During the summers, while teaching at SCCC, he worked for Centerplate at the historic Saratoga Race Track. He started as the breakfast manager then transitioned to a newly created position as Lead Sanitarian. In this role he developed a comprehensive sanitation training program, which was a first of its kind for the Saratoga Race Track. He authored four sanitation training manuals and delivered yearly training in Sanitation, Guest Relations, and Front of the House Services. The program was praised by the New York State Department of Health as being innovative and detailed which helped signifantely reduce the number of violations cited. As the lead sanitarian, he was responsible for all food safety and storage on the track, which included five complete food production kitchens, over 100 concession stands, warehouse operations, and over 600 employees. David also partnered SCCC and Centerplate and created paid internship experiences for students to work The Belmont Stakes and Breeders Cup Races at Belmont Park in Queens, New York, and the six-week summer meet at the Saratoga Race Track. David’s education includes a Master’s of Science degree in Curriculum Development and Instructional Technology from the University at Albany, a Bachelor’s of Science degree in Vocational Technical Education from the State University of New York at Oswego, and an Associate of Applied Science degree in Food Service Administration-Restaurant Management from the State University of New York at Morrisville. Outside of the classroom David is an avid golfer, enjoys cooking for his family and likes reading books on history. Enter your information below to subscribe to our newsletter and be the first to hear about our upcoming events.